Imagine a warm summer evening. You are going out with your friends in the local park area. But your good mood is often spoiled by the scenery which is very unpleasant to look at. 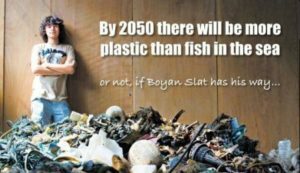 There are a lot of empty plastic bottles and cans, dropped sweet wrappers and paper bags, seed peels and cigarette-ends all around. I think it’s bad evidence that our generation lacks good manners and cultural habits. To my mind, we can prevent simple land pollution if we stop throwing litter in the streets, at the river banks, in the forests or in the countryside after having picnics. Everybody knows that the commonest air pollution comes from cigarette smoke. Moreover, it causes serious lung diseases. Some boys and girls start smoking being at school to seem grown-ups. Recently I’ve read in the newspaper that 1.6 million people die from smoking every year in Europe. To improve the situation not long ago our government introduced smoking ban in public places. One more problem in our region, as well as in other rural regions, is burning of fallen leaves in autumn and dry grass in spring. When they are burnt, smoke is produced that makes the air dirty and difficult to breathe. To reduce air pollution local authorities introduced high fines for burning leaves and grass. But unfortunately, the law doesn’t work. Another very dramatic problem of our region is that rubbish is thrown out into big piles on the outskirts of our towns and villages. If this trend continues, we will have to live in a landfill very soon. In spring you may see crowds of people picking up beautiful tiny snowdrops in the park zone. This breaks the ecological balance. That’s why snowdrops are put down to the Red Book. From my point of view, to stop making the situation worse nobody should cut down the wild flowers anymore. In comparison with other big industrial towns we haven’t got many plants and factories. Our village is situated in a picturesque area surrounded by chalk hills and thick pine forests. Not long ago we had fresh air the whole year round. But lately a combine fodder factory and a lot of chicken and pig breeding farms have been built in Volokonovka district. As a result, the air is not so clean now as it used to be. It smells disgusting. Moreover, the amount of people, especially children who suffer strong allergy, is constantly growing. I’m sure, the only way out is to use the antipollution equipment and purifying systems widely. To improve the ecological situation in our region a tradition of so-called “clean Thursday” was introduced. That means that every Thursday all the inhabitants (dwellers) of our village sweep the streets and gather garbage near their houses, schools and buildings. In spring flowers, shrubs and young trees are planted on the flower-beds, slopes of the hills, in the parks and squares. As for me, I try not to buy drinks in plastic bottles because they can’t be recycled. 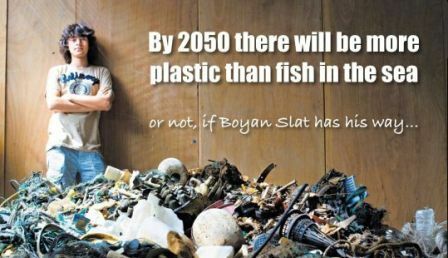 It is estimated that it takes 500 – 1,000 years for a single plastic bag to break down in a landfill. So, we replaced our plastic garbage bags with 100% biodegradable ones. When it comes to shopping, my family and I use only reusable cotton bags. I never cut wild plants and never throw litter in the streets and recreation places. Also, we use energy saving light bulbs at home. I think that such simple measures can slightly (a bit) improve ecological situation around us. Reduce your impact on the planet! Эта запись написана автором Елена Шрамкова, 28.02.2017 в 14:51, и размещена в категории Топики. Следите за ответами на эту запись с помощью RSS 2.0. Вы можете написать комментарий или разместить обратную ссылку на своем сайте.